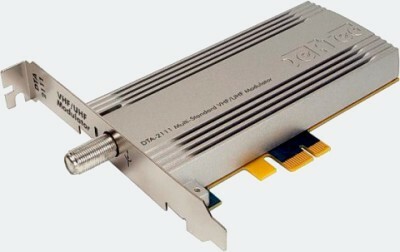 DTA-2111 - DekTec Multi-Standard VHF/UHF Modulator for PCI Express | AdvancedDigital Inc. General-purpose modulator for R&D, demos, repair, at shows and exhibitions, etc. Digital TV distribution over coax: SMATV, hotels, hospitality, campus, buildings, etc.